If you were to go around and take note of all the new vehicles sold over the last few years, you would see an uptick in the sales of crossover SUVs. Specifically, Mazda crossovers have become among the most popular, successful, and coveted vehicles on the market. 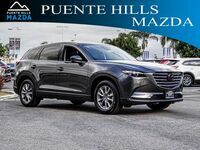 The Mazda CX-9 is the largest Mazda vehicle in production, and it is stunning. So how does it compare to others? That's what we are here to find out. 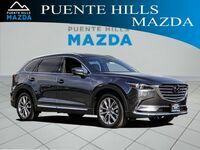 Check out how the 2018 Mazda CX-9 does against the 2018 Kia Sorento. These crossovers are similarly styled and priced, so we thought this would make for a great battle. For fairness' sake, we are comparing the base models. 3,500 lbs. Maximum towing capacity (when properly equipped) 2,000 lbs. In addition to the Mazda CX-9 beating the Sorento in almost every measurable category, it also holds more people. Up to seven total people can comfortably sit inside the Mazda CX-9 whereas the Sorento only fits five. 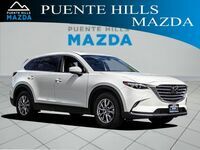 The Mazda CX-9 is about a foot longer than the Sorento and it comes with far more standard and available features as noted above. That is enough justification for its slightly higher starting MSRP of $32,130 ($25,900 for the Sorento). 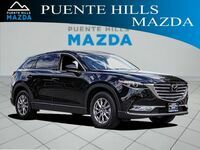 With the Mazda CX-9, you are paying for top quality. 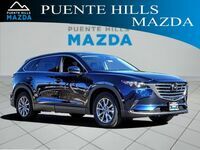 Come on down to Puente Hills Mazda to learn more. We can go over other vehicle comparisons and answer all of your questions. The car-buying process can be a very stressful one, so we hope our research has pointed you in the right direction. We are here to help you the whole way!